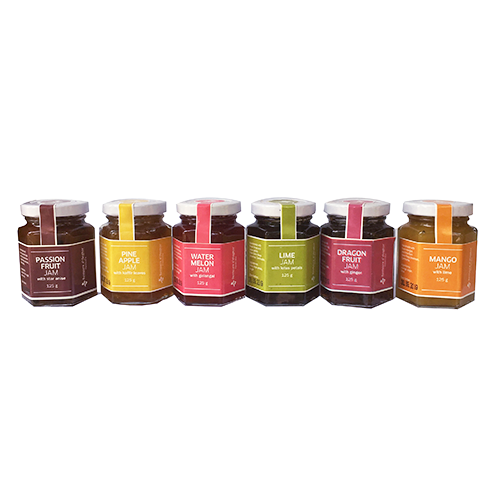 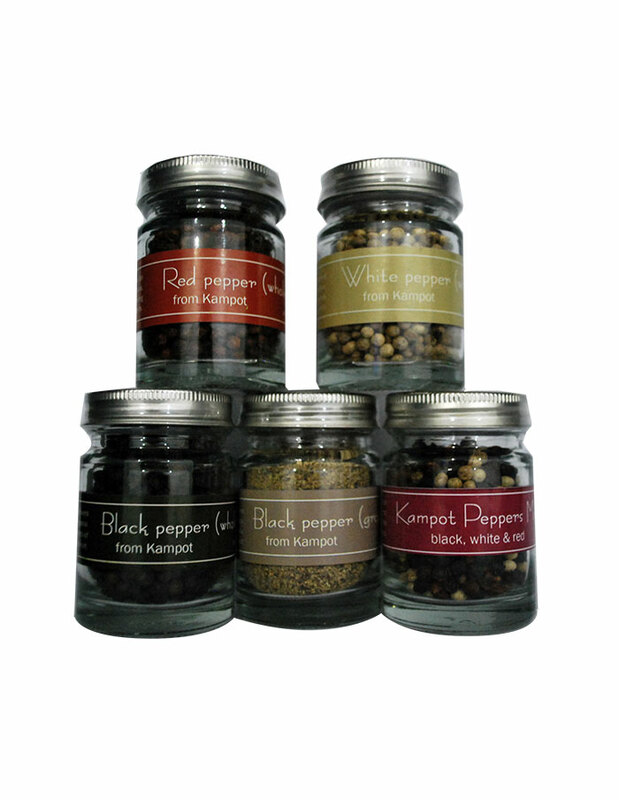 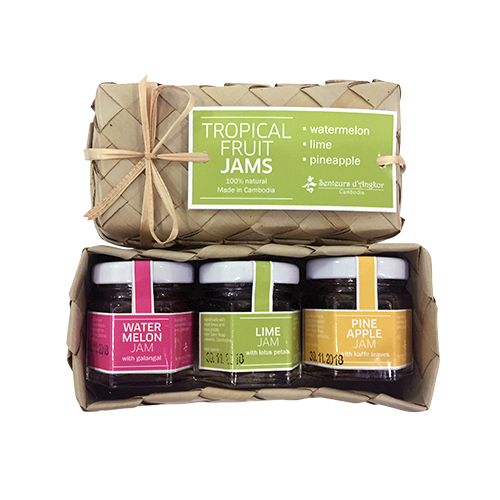 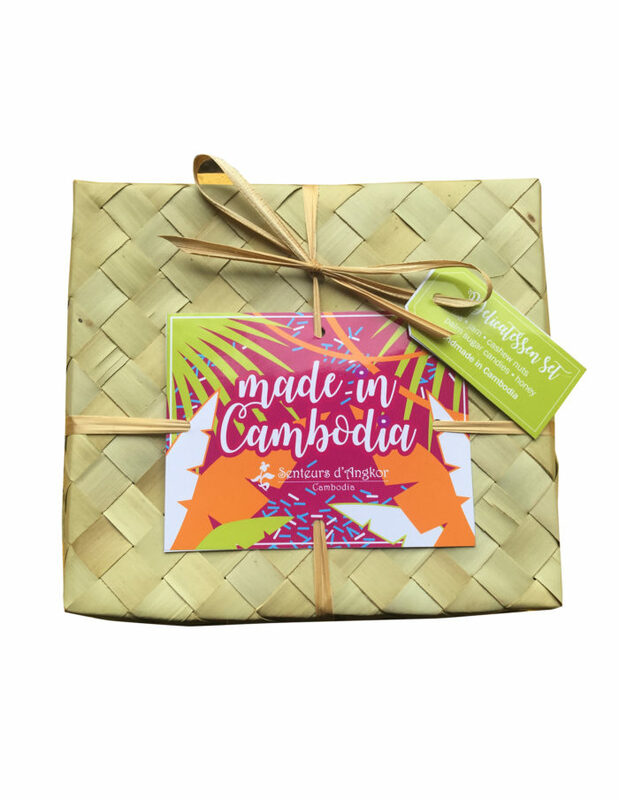 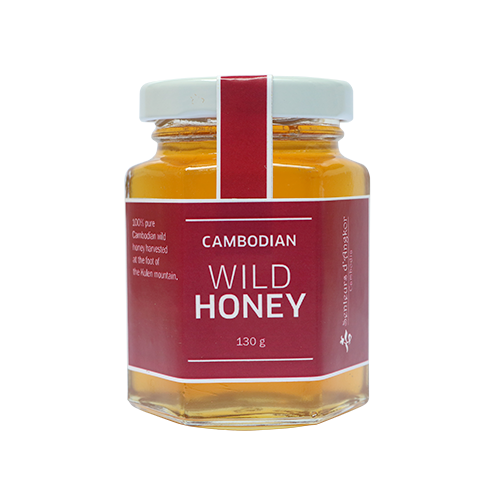 All our jams are homemade cooked with Cambodian ingredients following original recipes signed by Senteurs d’Angkor and traditional techniques. 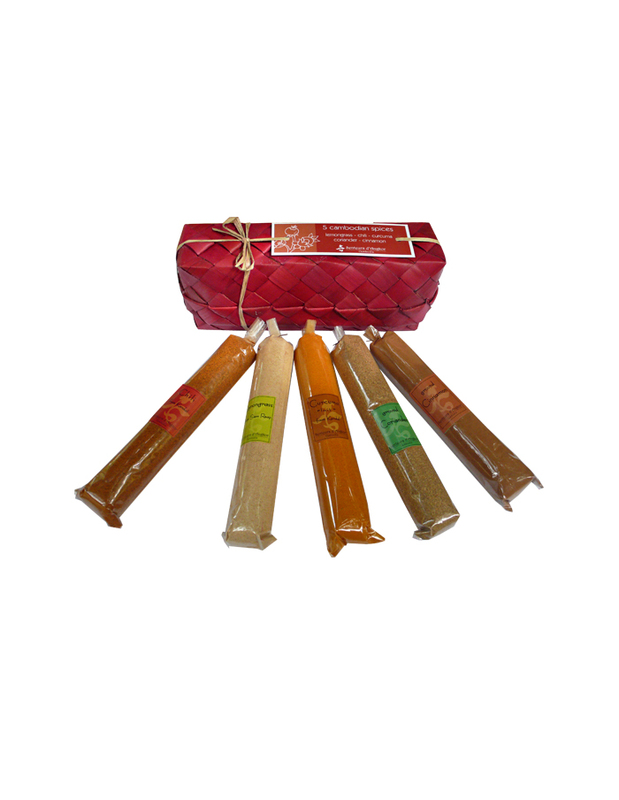 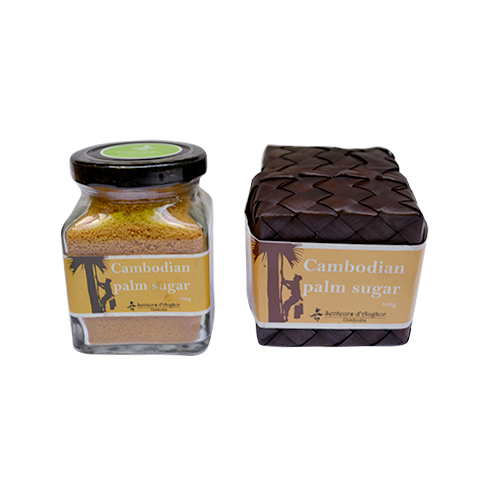 Palm sugar is a sweetener that is made from the sap present in the flower buds of the coconut palm tree. 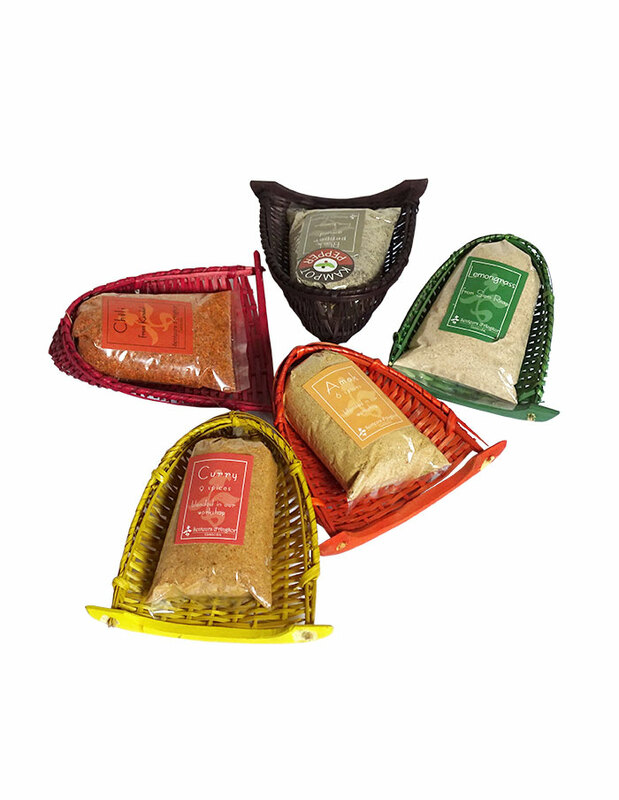 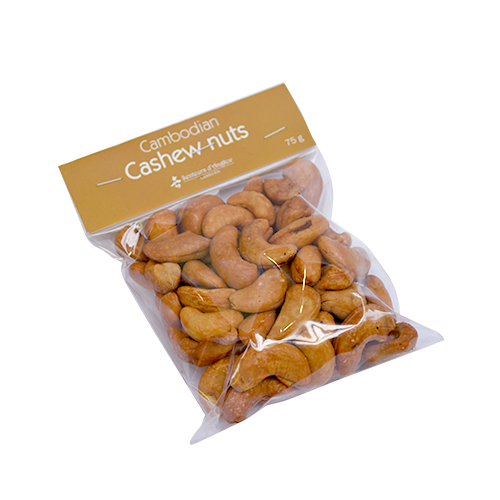 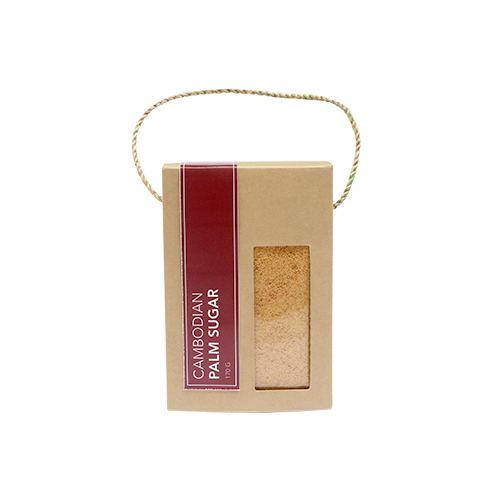 It is known as natural sugar because it involves minimum processing and no chemicals are used. 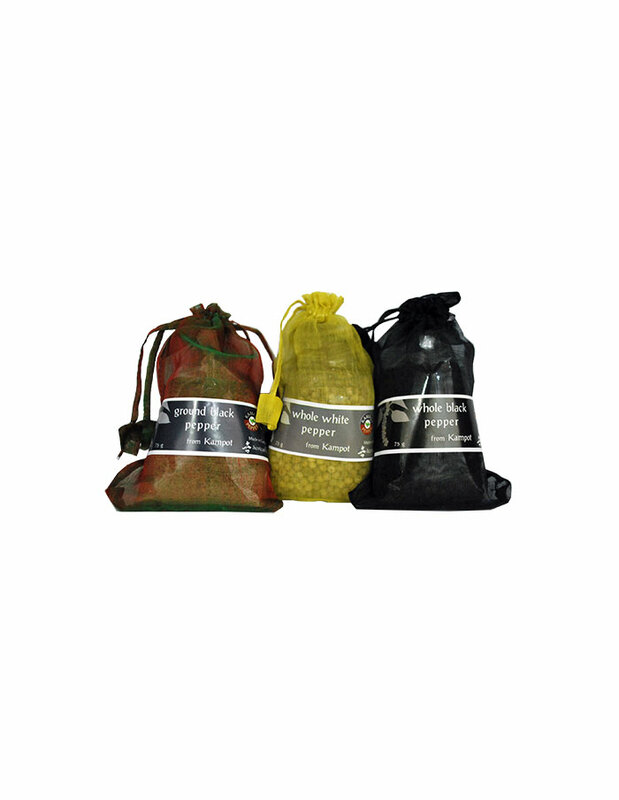 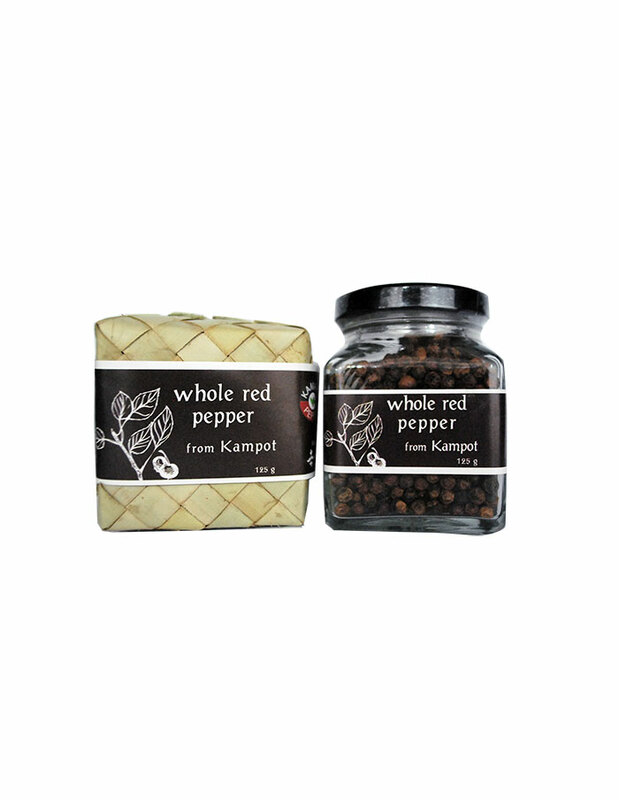 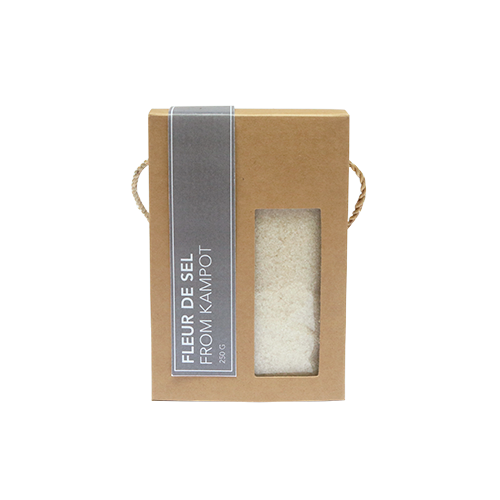 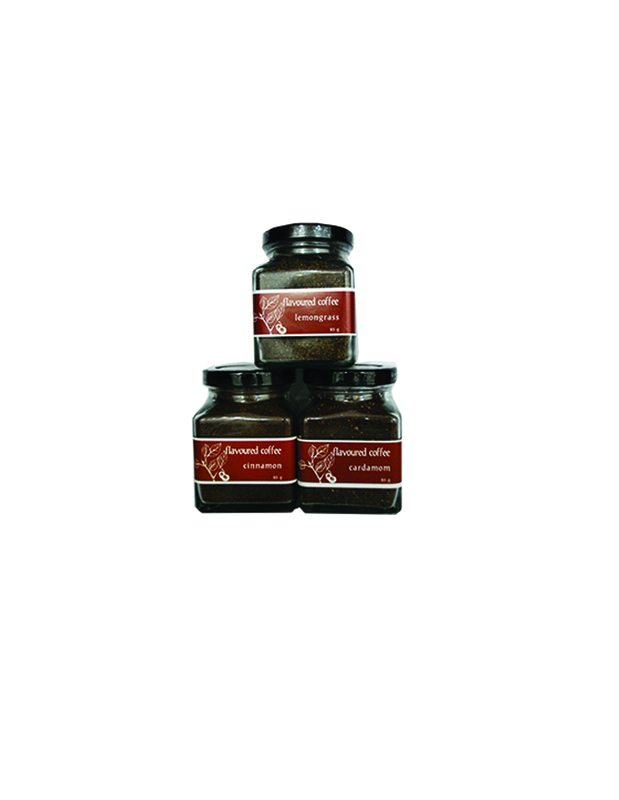 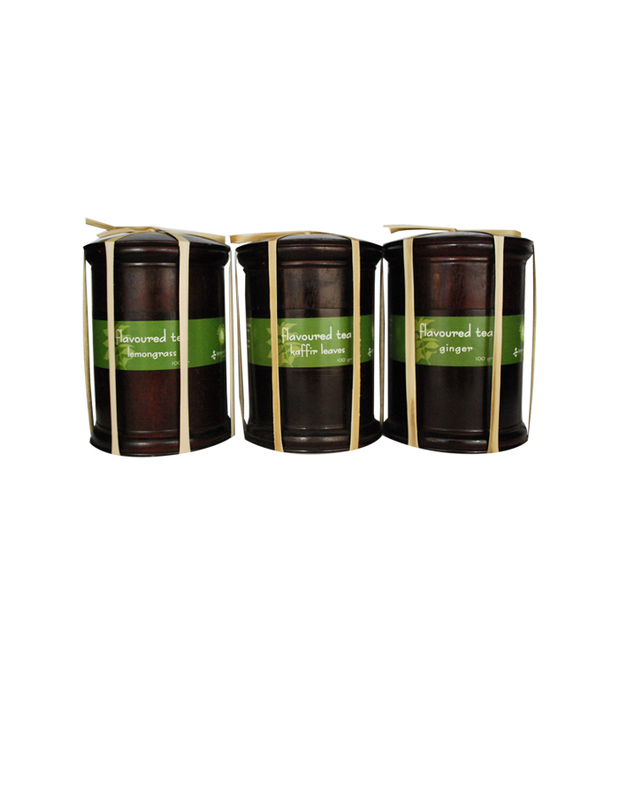 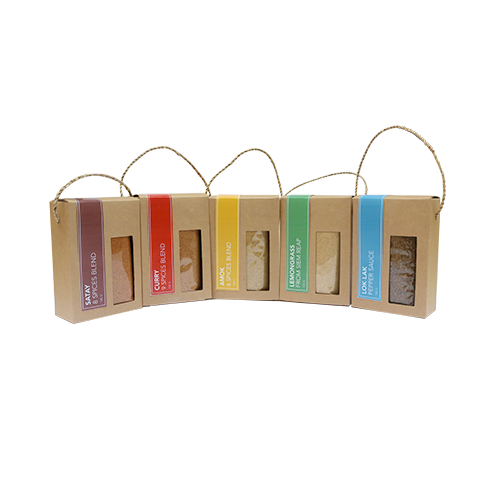 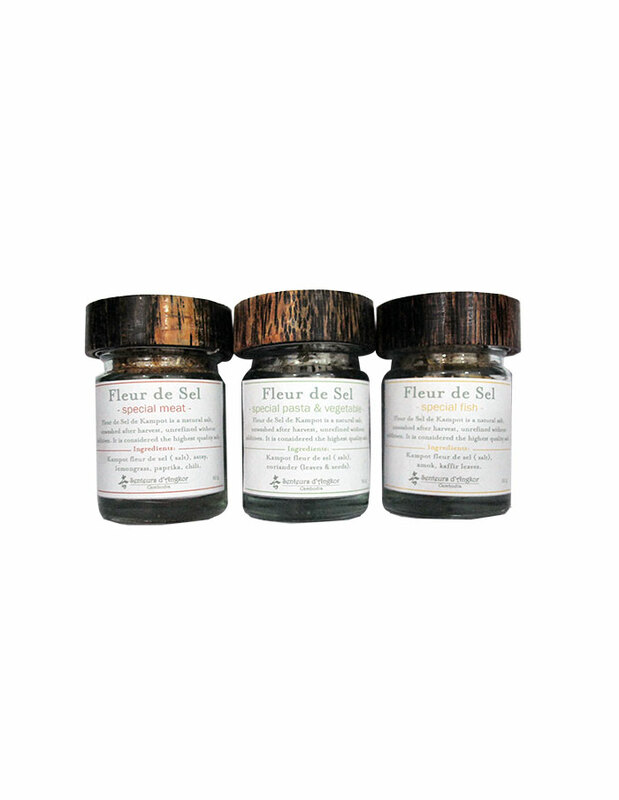 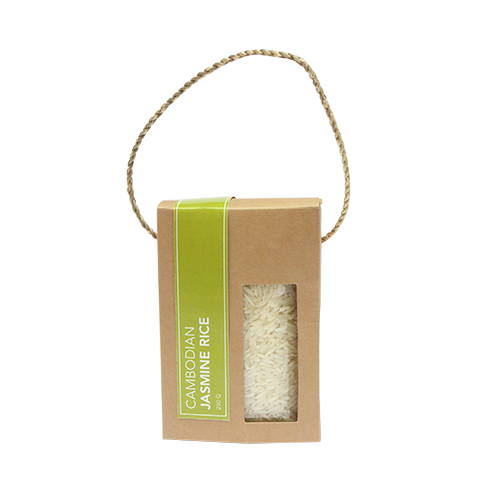 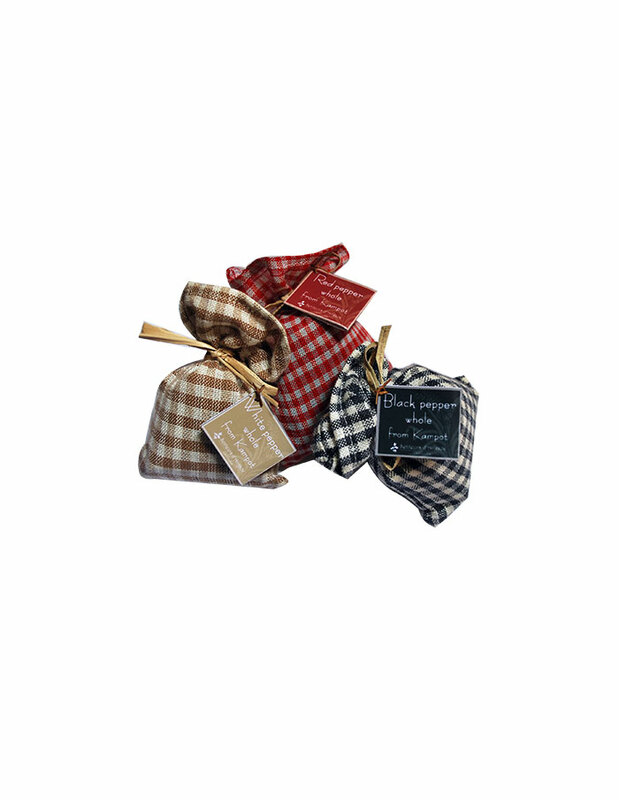 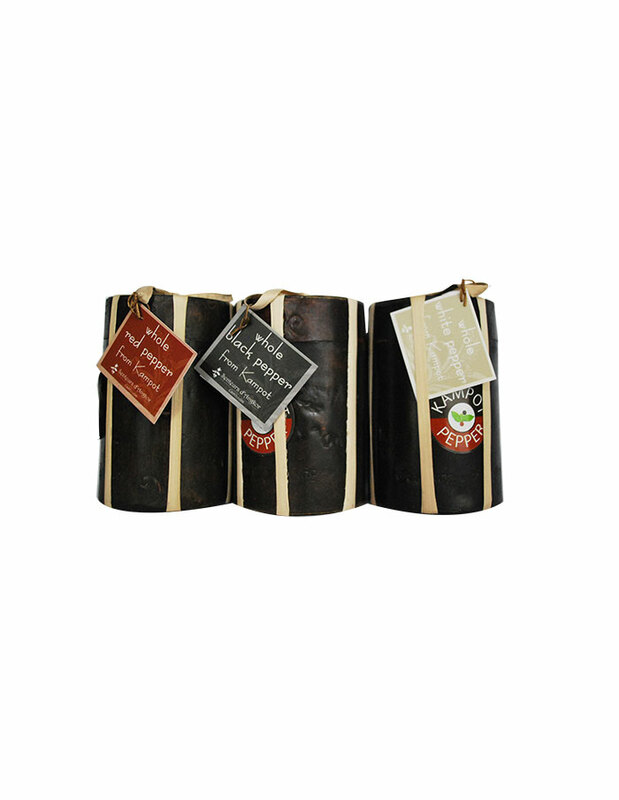 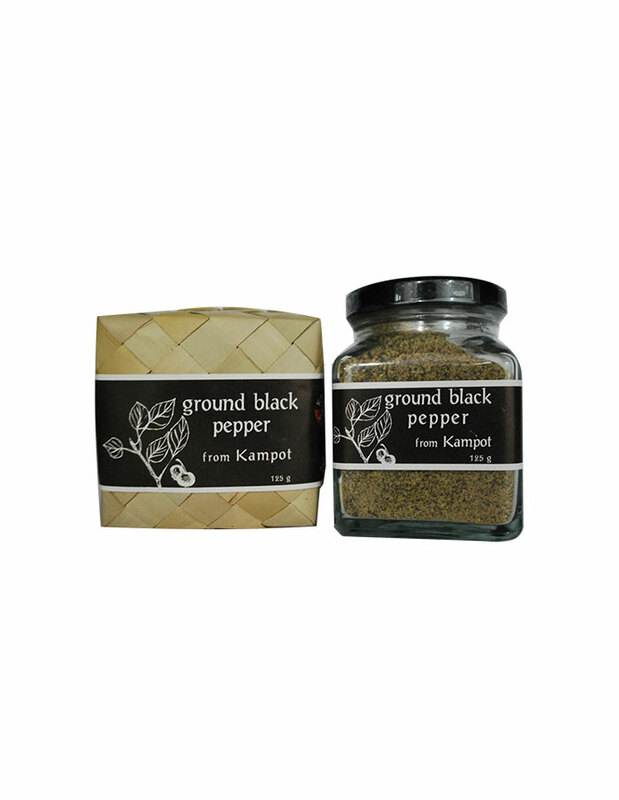 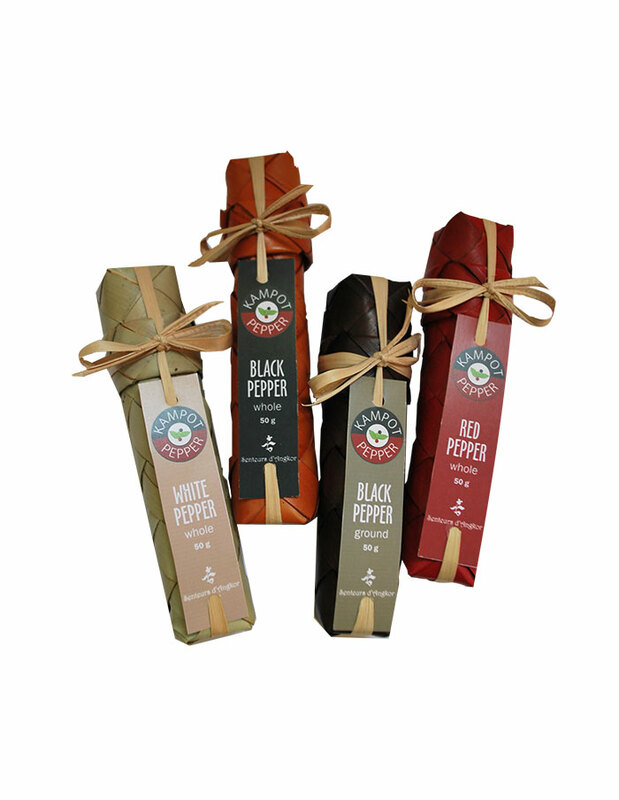 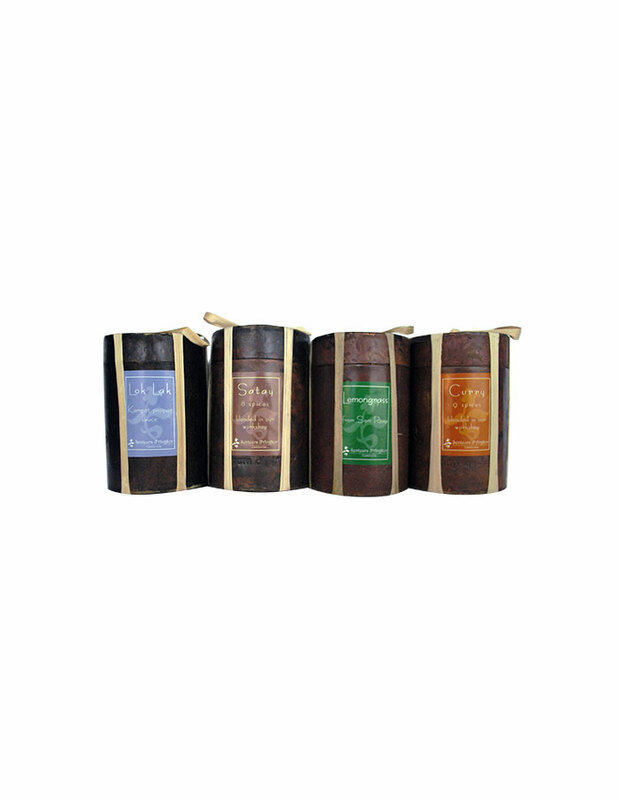 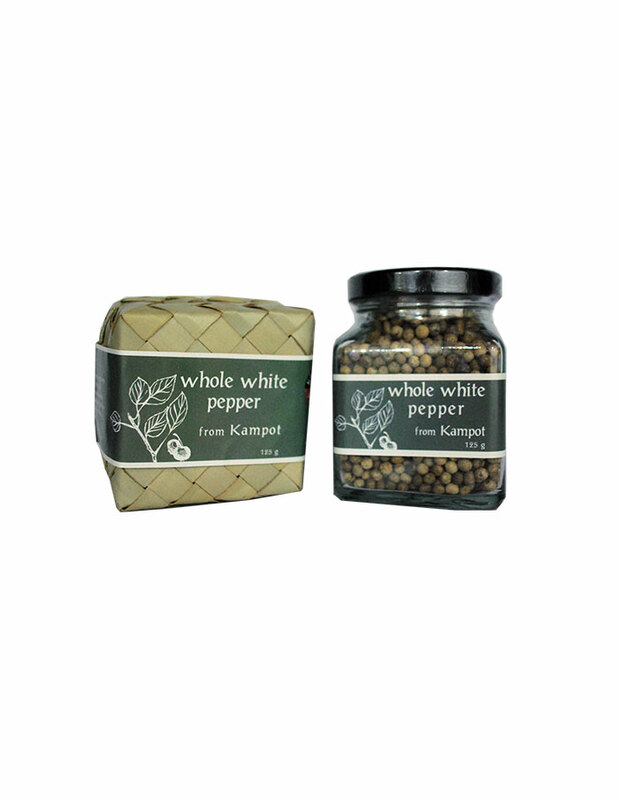 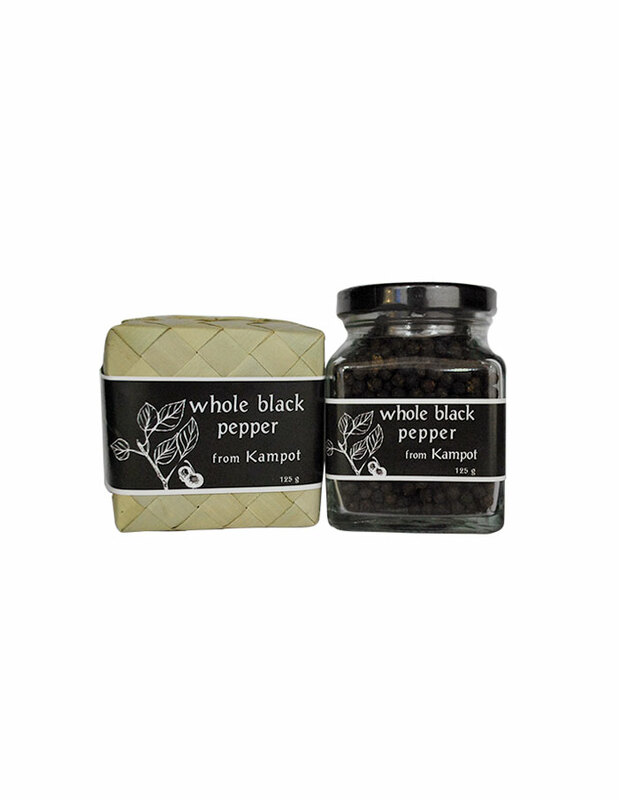 Fleur de Sel de Kampot is a natural salt, unwashed after harvest, unrefined without additives. 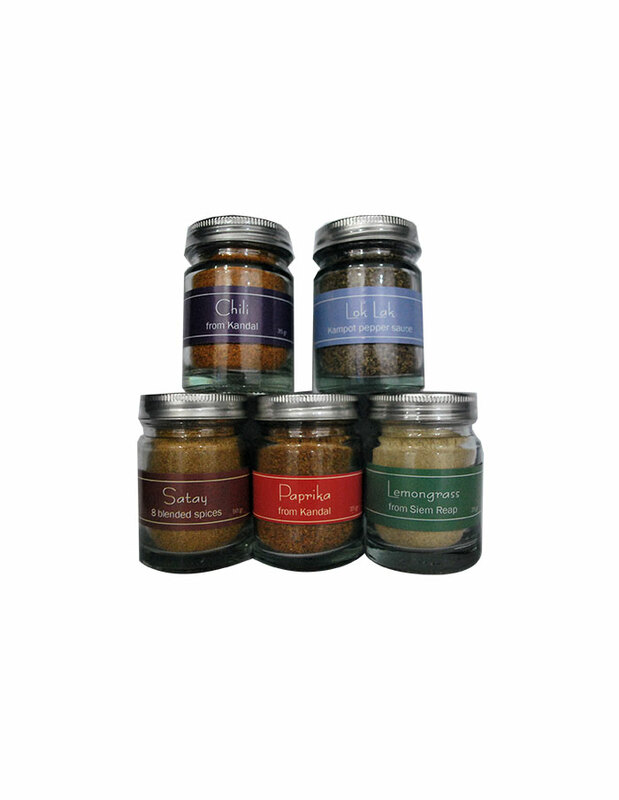 It is considered the highest quality salt. 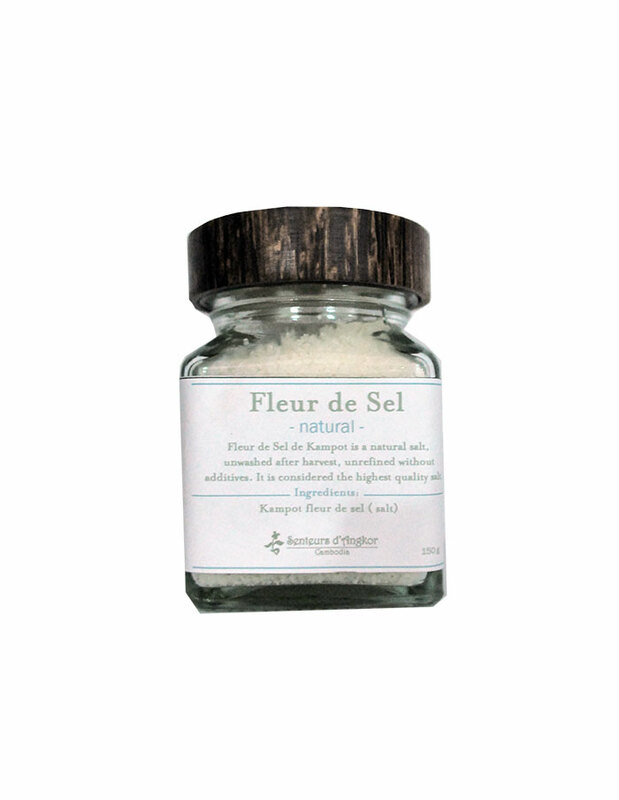 This carefully selected fleur de sel from Kampot province is a natural, unwashed and unrefined salt, of the highest quality. 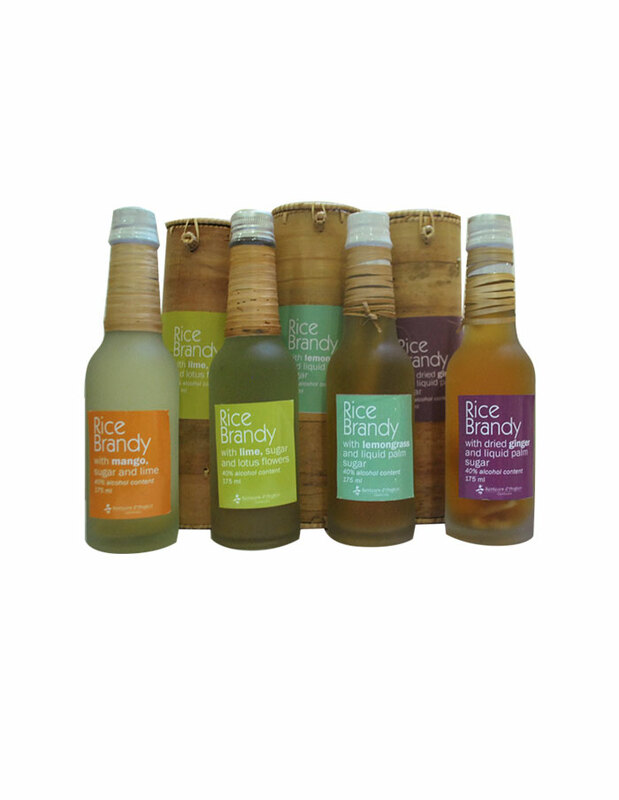 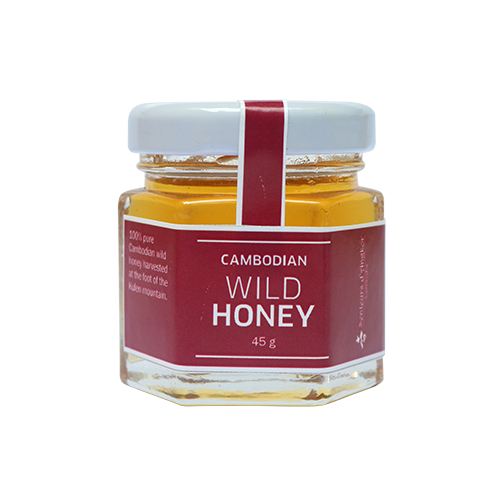 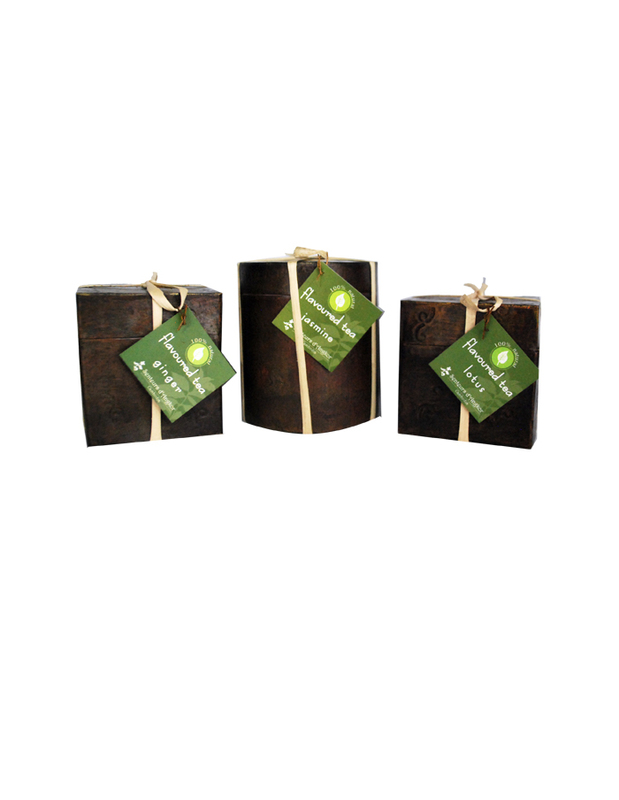 100% pure Cambodian wild honey harvested at the foot of the Kulen mountain. 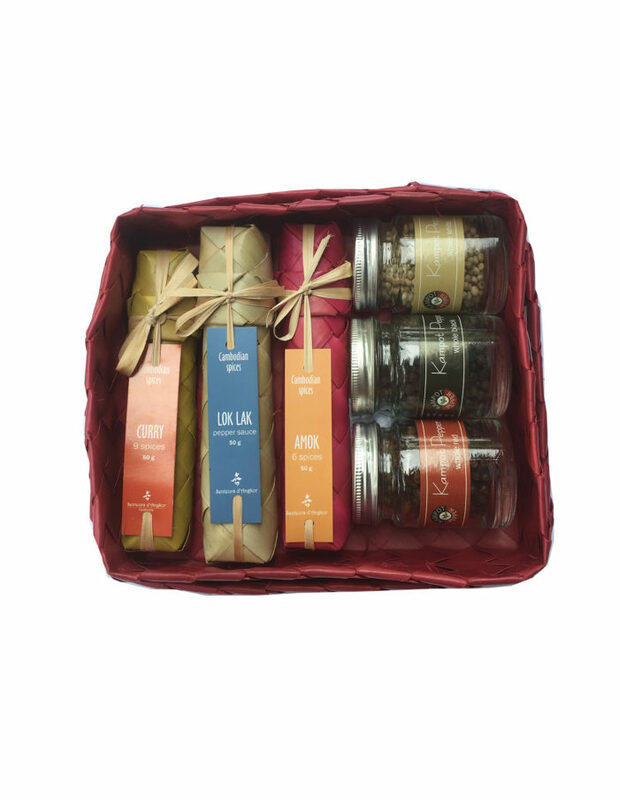 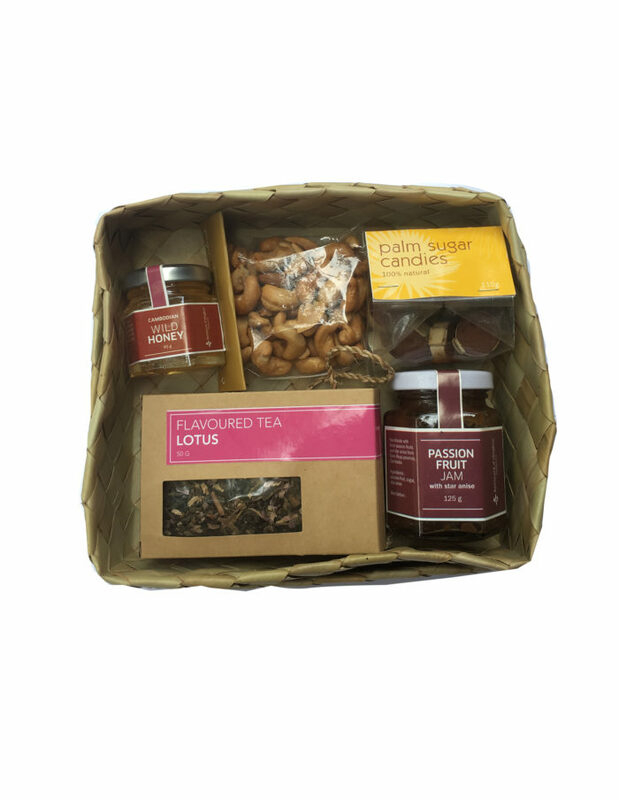 This set contains a jar of wild honey 45 g, of passion fruit jam 125 g, a pack of cashew nuts 75 g, of sugar palm candies 110 g and a box of flavoured tea (lotus) 50 g ; all packed in a smok box. 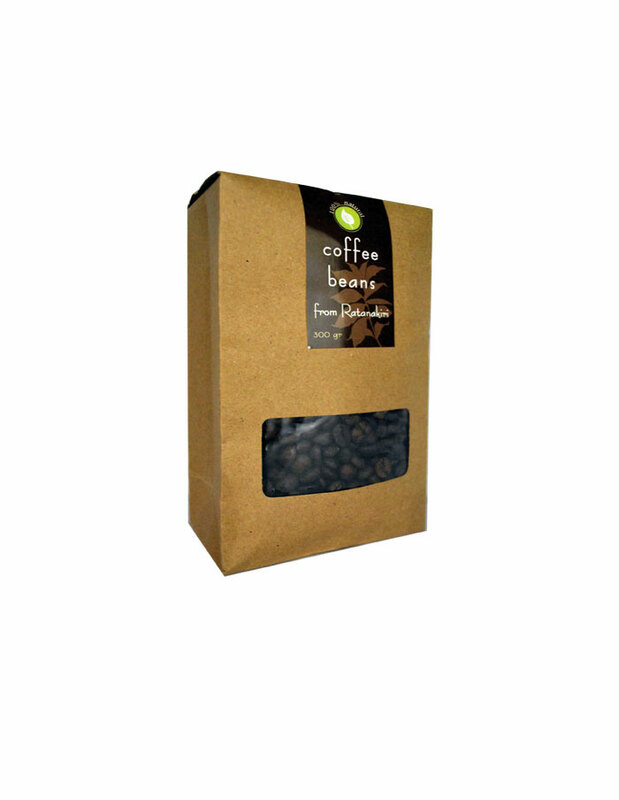 The art of roasting coffee beans begins with the green coffee beans (Robusta) that have been skilfully selected and dried. 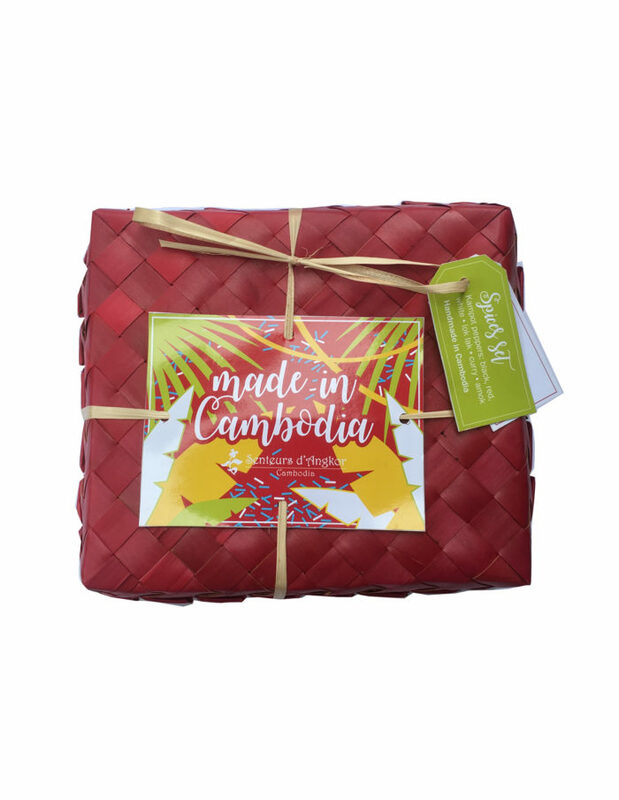 We carefully select them in the province of Ratanakiri, Northeast of Cambodia, then we roast them with the utmost attention in our workshop. 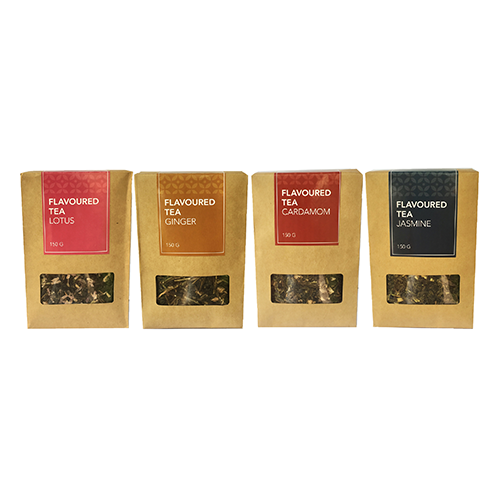 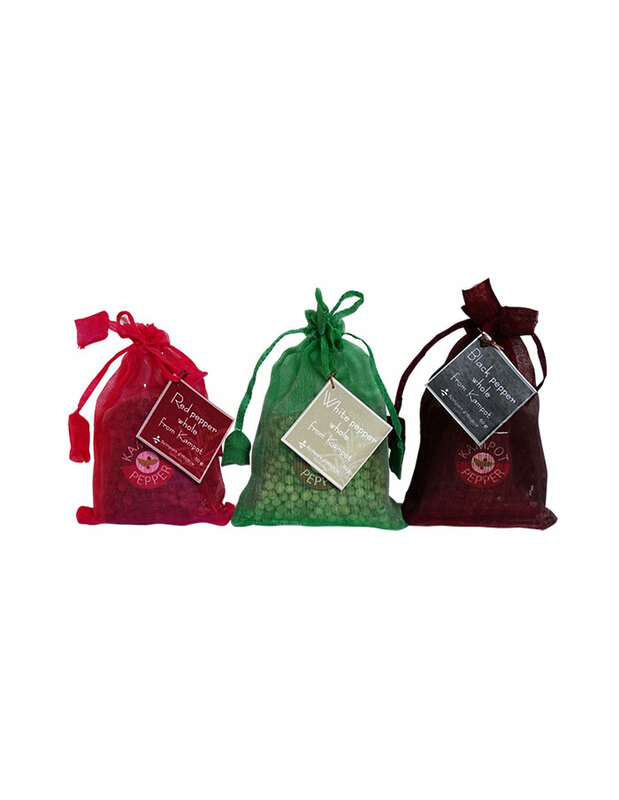 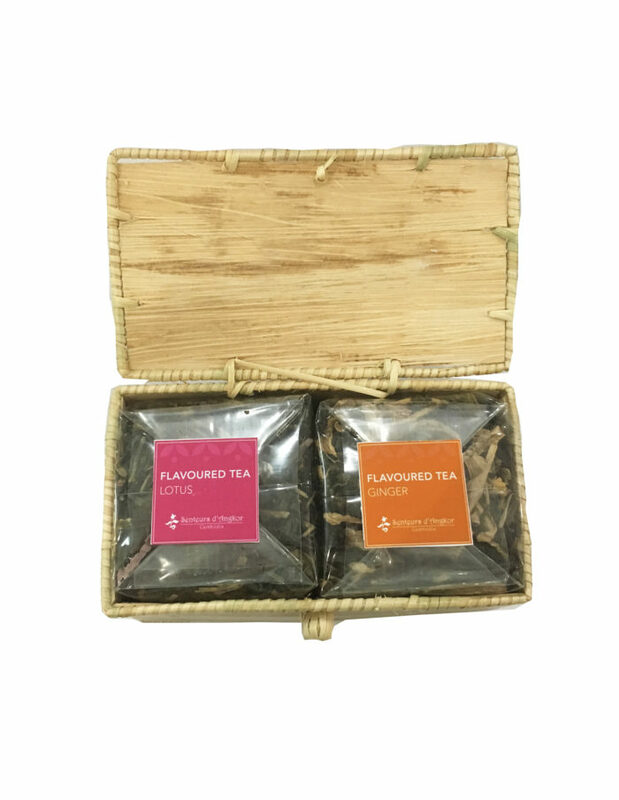 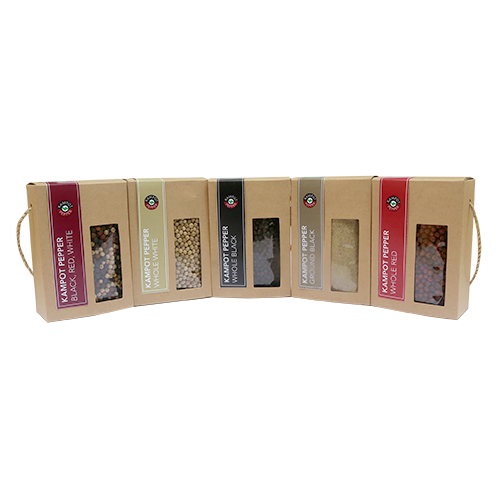 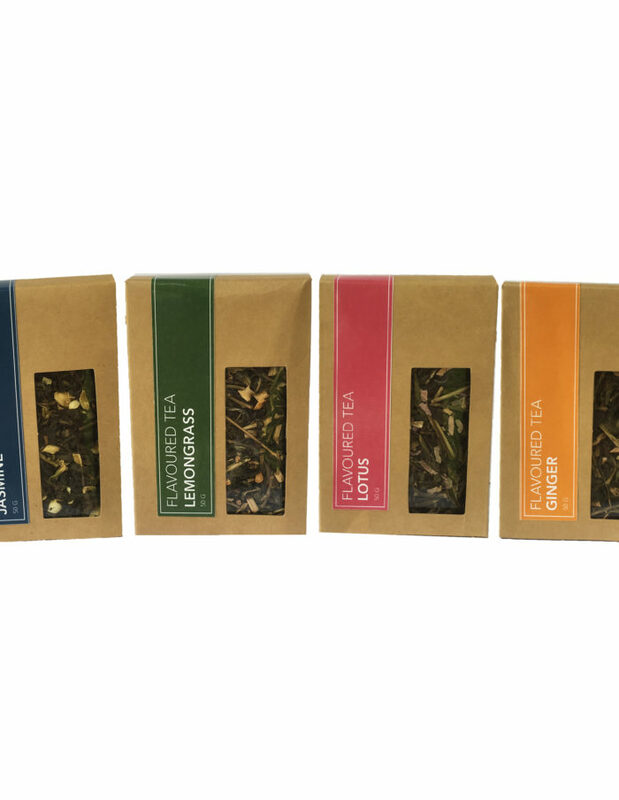 The art of flavoured tea begins with tea and fresh spices or flowers that have been skillfully selected, dried and blended. 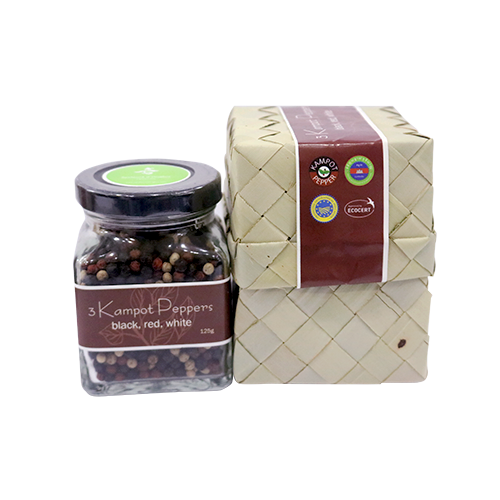 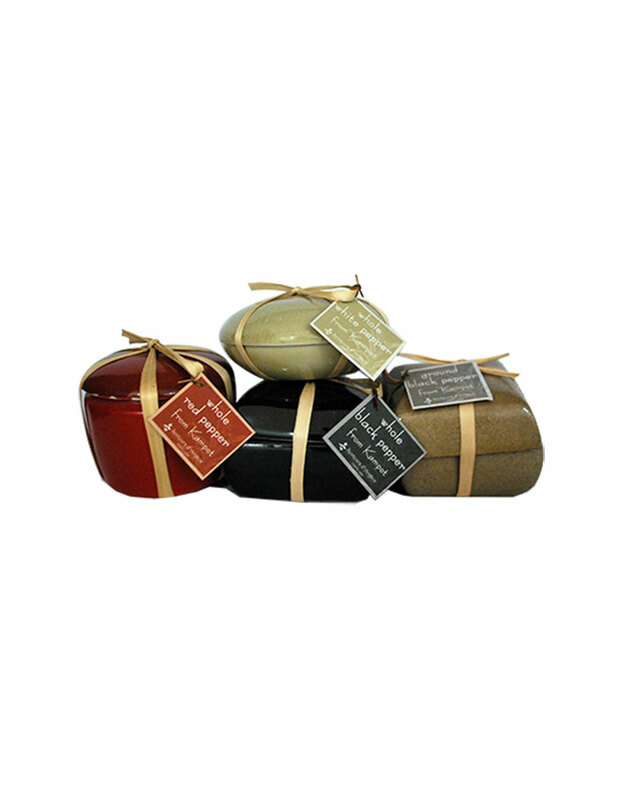 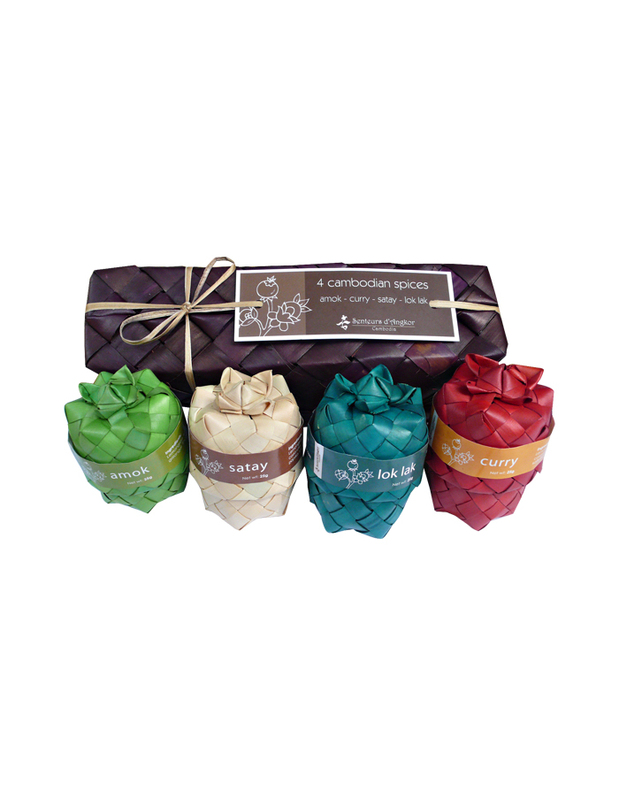 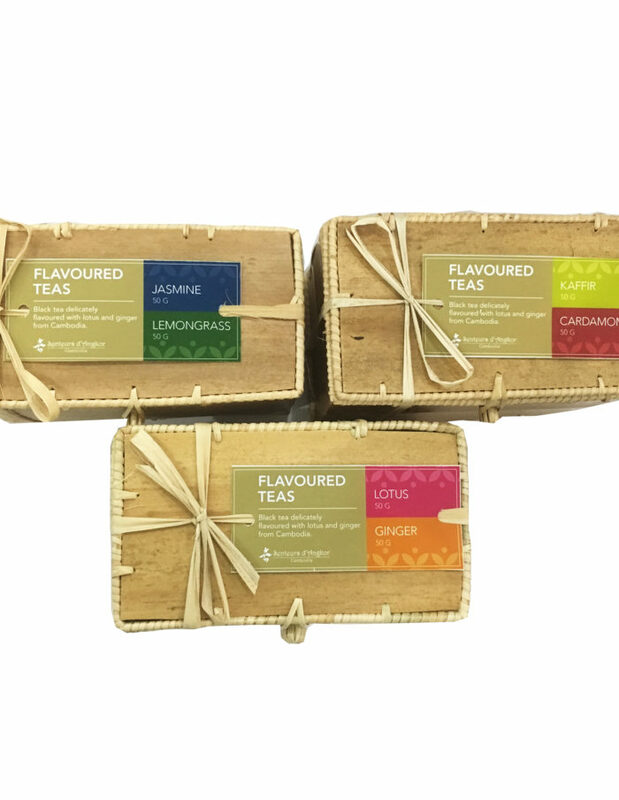 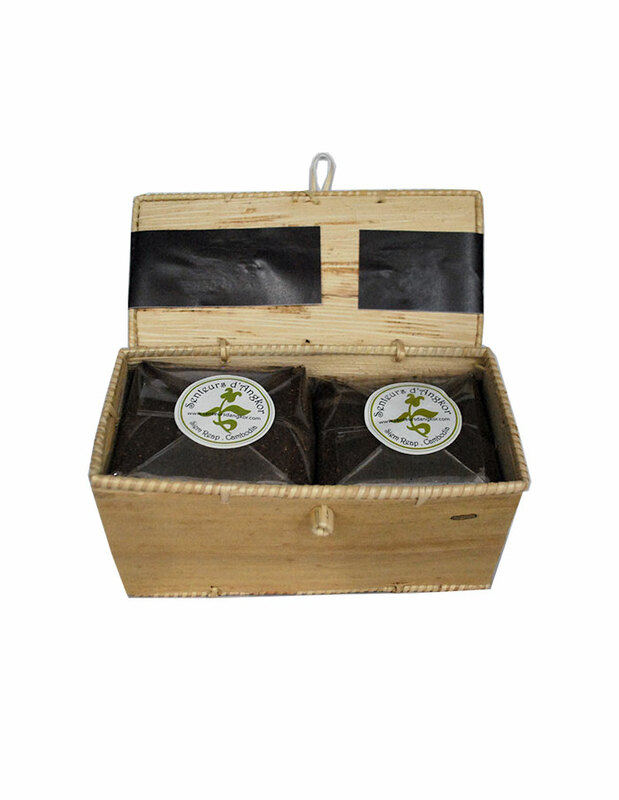 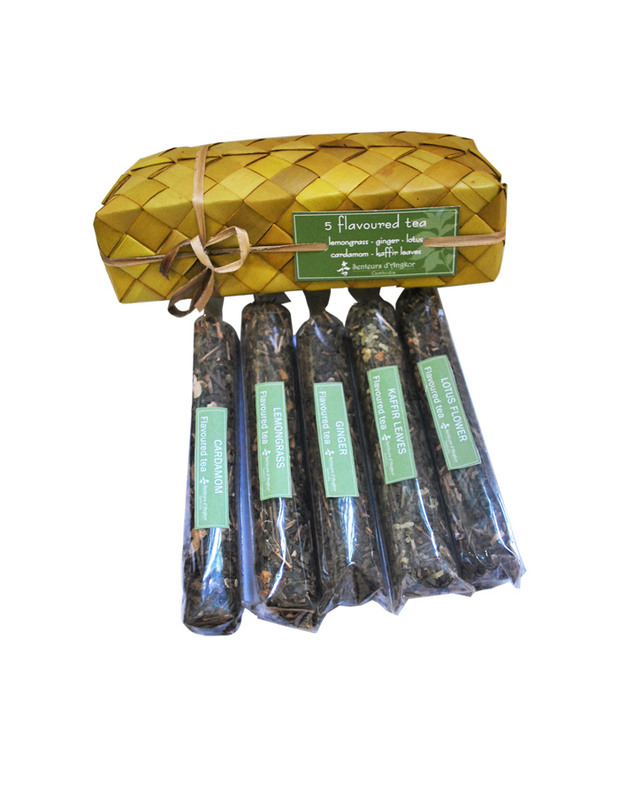 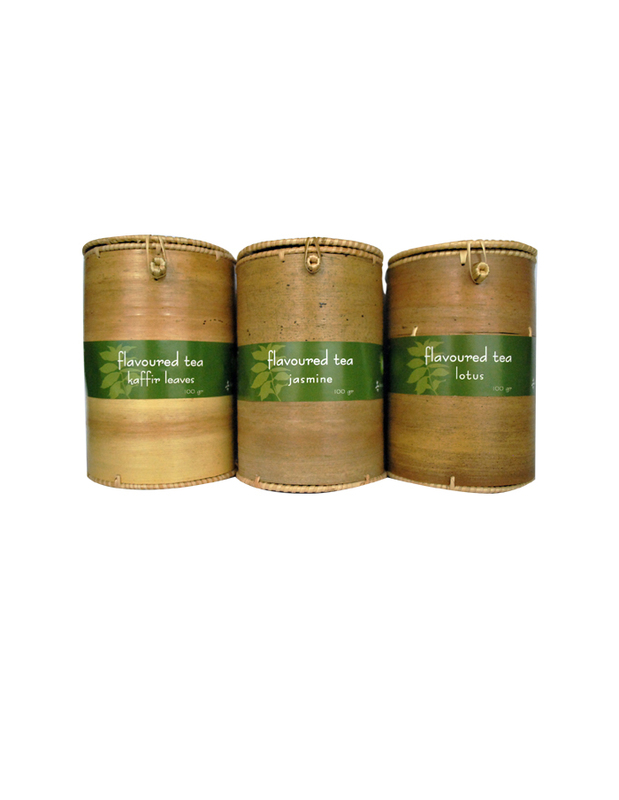 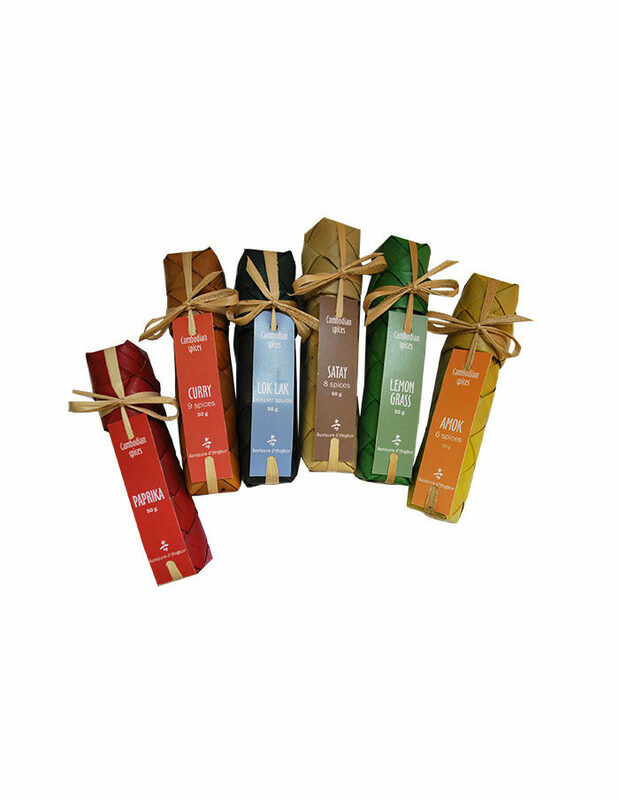 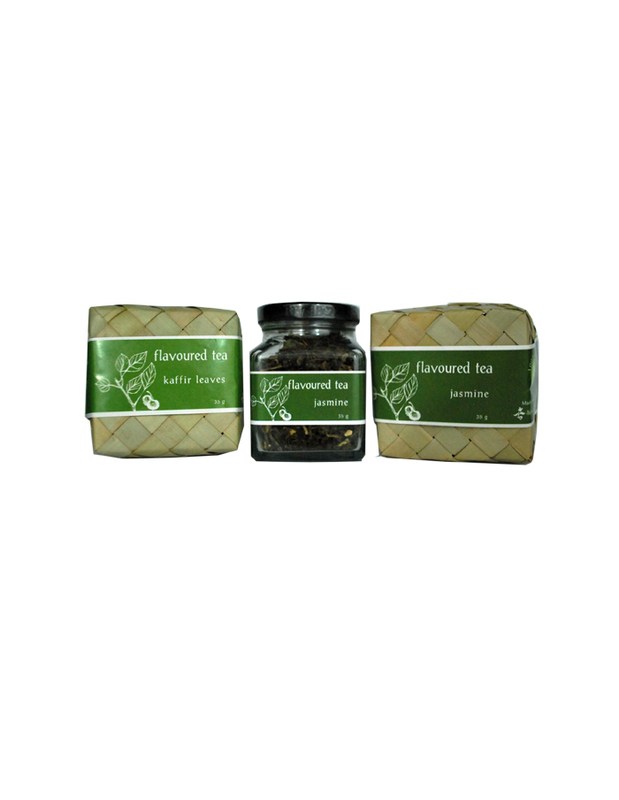 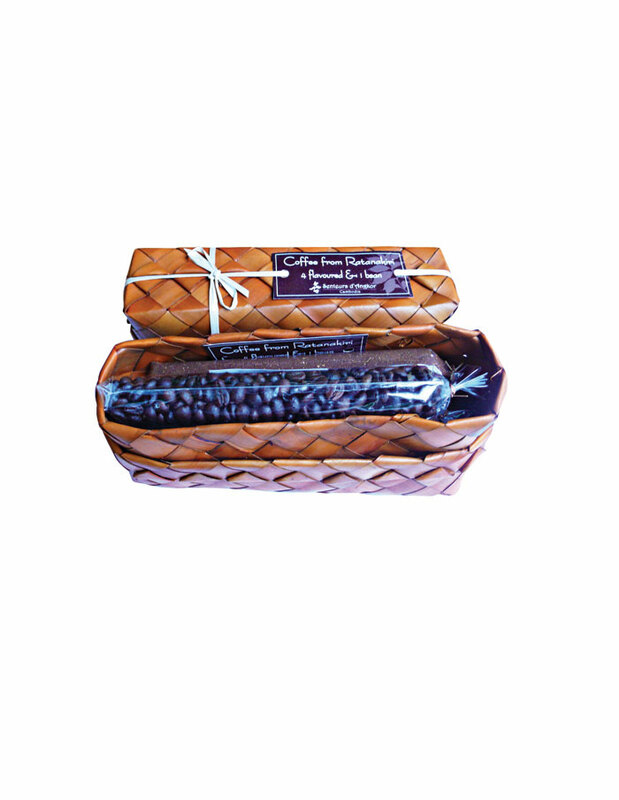 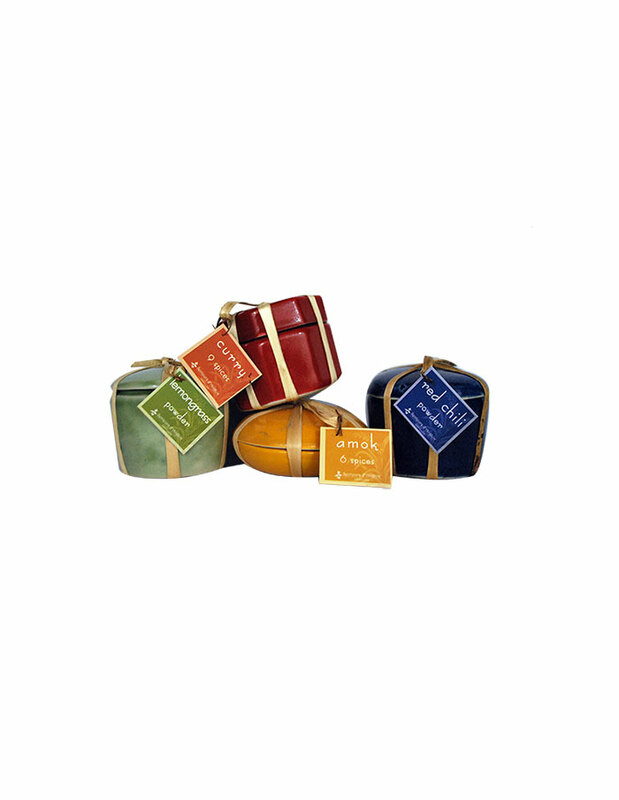 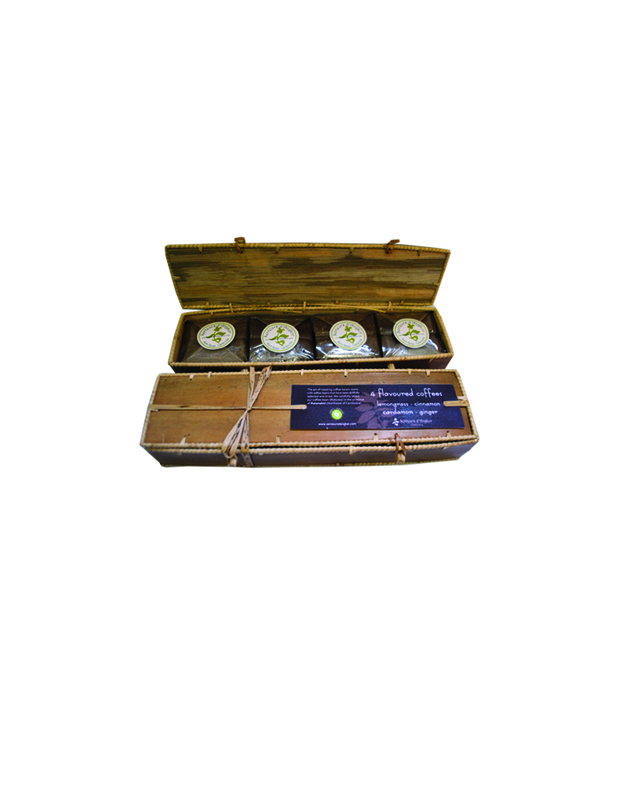 Contains 5 flavored tea: cardamom, lemongrass, ginger, kaffir & lotus in a “smok” box. 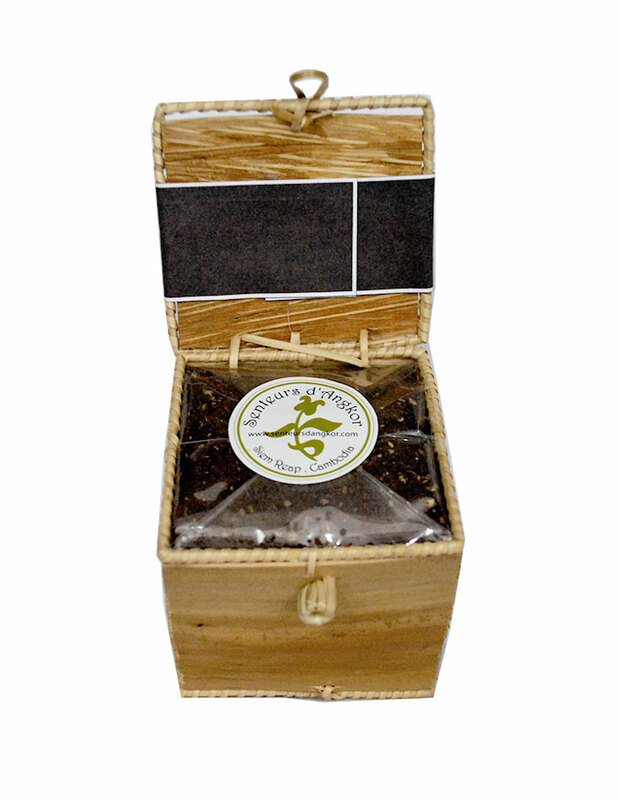 Ground local chili, lemongrass, curcuma, coriander and cinnamon in a “smok” box. 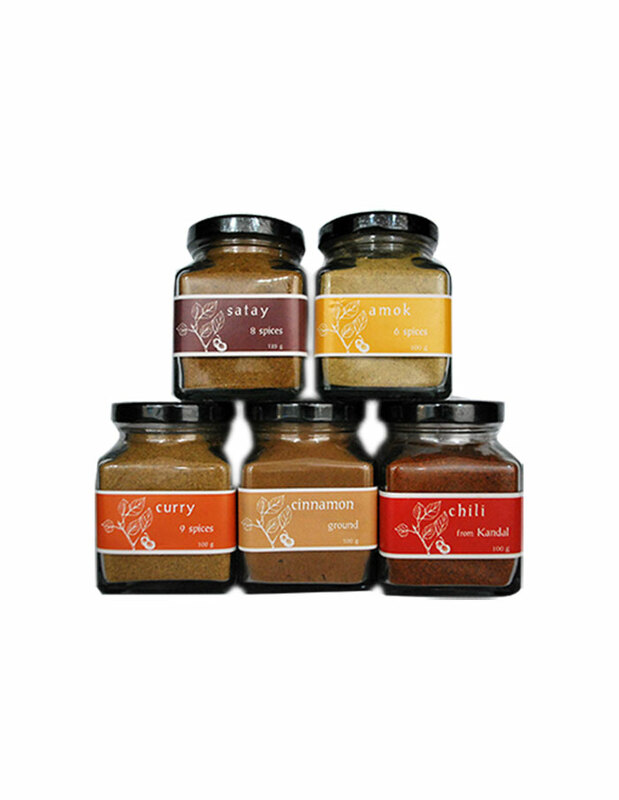 Amok, Curry, Satay and Lok Lak spices blend in Smok boxes. 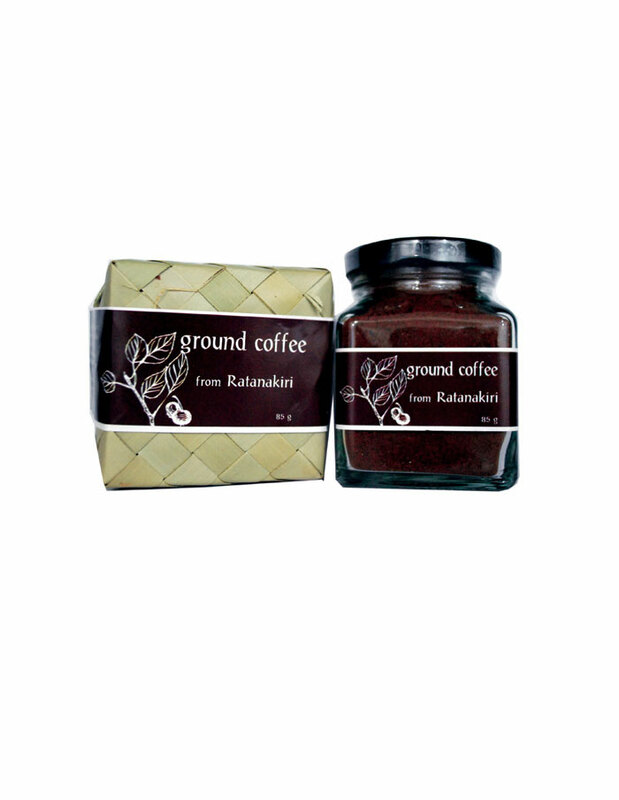 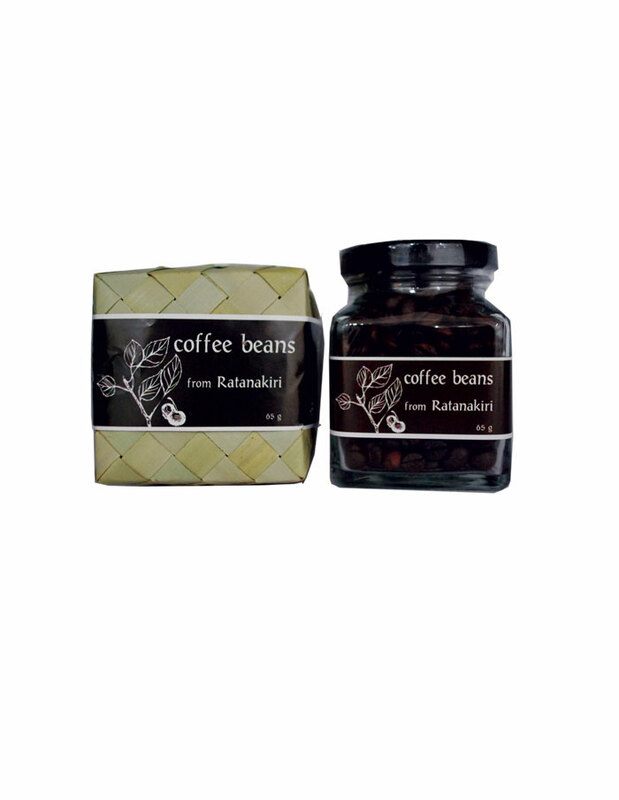 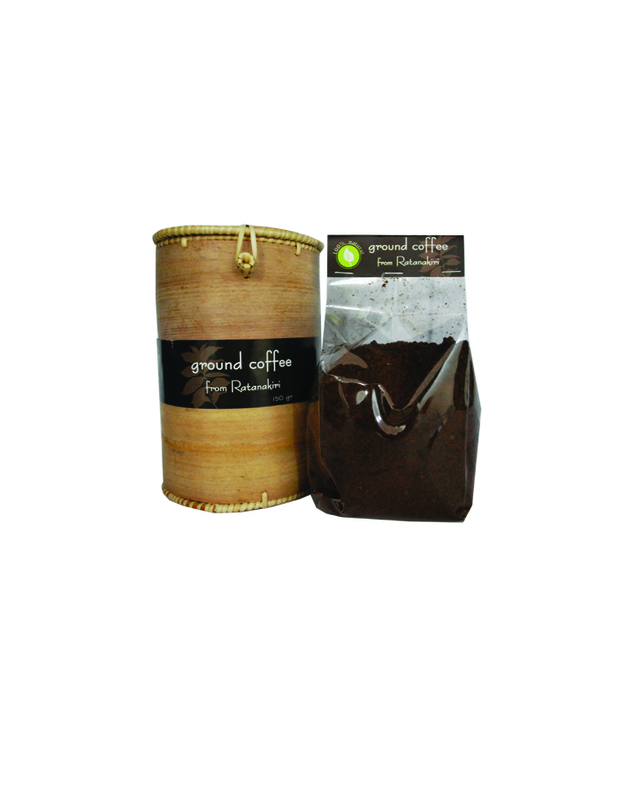 Ground coffee from Ratanakiri province in a Krebeil Rien box.